Clarifies how money moves through the system: insurance, health plans, Medicare, Medicaid and HMOs. 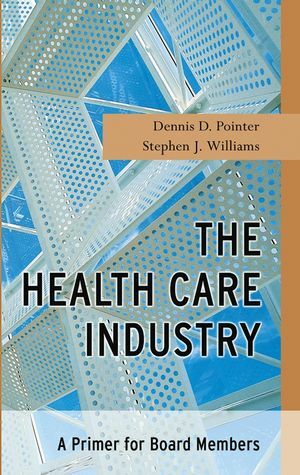 Dennis D. Pointer is president of Dennis D. Pointer & Associates and the author of numerous books including Board Work (Jossey-Bass, 1999), winner of the James A. Hamilton Book of the Year Award from the American College of Healthcare Executives. Dr. Pointer is the Austin Ross Professor in the Department of Health Services at the University of Washington School of Public Health and Community Medicine. Stephen J. Williams is a consultant to numerous health care organizations, associations, and governmental agencies. Dr. Williams is Professor of Public Health and Head of the Division of Health Services Administration in the Graduate School of Public Health at San Diego State University. Health Service Need, Demand, and Utilization. 2. 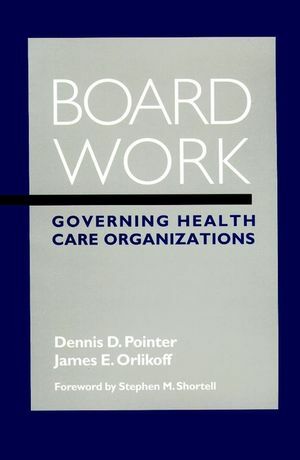 Health Care Organizations and Services. Flow of Funds Through the System. Types of Health Insurance Plans. A. Glossary of Health Care Terms. C. Recommendations for Learning More.